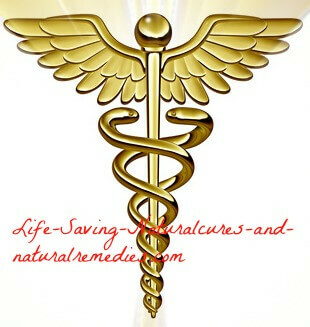 Natural Remedies for ADHD - Fish Oil is One Potent Remedy! And further research, including the blockbuster ADHD study performed by the University of South Australia, have been able to confirm that by giving your ADD or ADHD child omega-3 supplements - along with a small amount of omega-6 - you can improve their bad behavioural patterns quite dramatically! “Supplementation with PUFA (polyunsaturated fatty acids) over 15 weeks resulted in significant improvements compared to placebo in parent ratings of core ADHD-related behavioural and cognitive difficulties, namely inattention, hyperactivity and impulsivity, with medium to large effect sizes, and also in ratings of oppositional behaviour. So Where do You Get Your Omega-3's From? You can receive your daily dose of omega-3's from various sources. The easiest and the cheapest is fish oil and cod liver oil, but you do need to be careful of contamination. Many fish oil supplements contain PCB's, mercury and other heavy metals so only buy from trusted companies who's products are certified free of all chemicals, GMO's and heavy metals (such as this one). Evening primrose oil is also a great source of omega-3 and contains the crucial omega-6 fatty acid, gamma-linolenic acid (GLA). 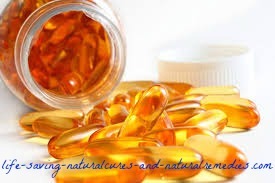 In fact, taking fish oil/cod liver oil and evening primrose oil supplements together works by far the best (the GLA in the evening primrose oil increases the healing and anti-inflammatory properties of the fish oil). Children need around 3000 mg's of fish oil and 1000 mg's of evening primrose oil a day (according to the University of South Australia study) and adults need at least 5000 mg's a day of fish oil/cod liver oil and 2000 mg's a day of evening primrose oil for maximum benefit. In addition to this, you should also consider taking flaxseed oil or borage oil, both of which are rich sources of omega-3's. If you do, however, be sure to only purchase the organic cold pressed oil in dark containers (and they must be kept refrigerated). Another good idea is to buy the ground up LSA mixes (linseed, sunflower and almonds) that you find in health food stores and sprinkle some over your cereals, salads, etc, for an extra “cheap” supply of omega-3. Finally, you can purchase green-lipped mussel or krill oil for a potent dose of omega-3's if you can't find a reputable supplier of contaminant free fish oil. Both of these are equally as effective and can easily be purchased online or from any well stocked health food store. If you or your child struggles to take tablets then krill oil or green-lipped mussel can be a good choice as you can buy these in small, easy to swallow capsules. There are numerous published reports demonstrating the benefits of supplementation with individual or combination omega-3 EFAs for many of these mental disorders as well as borderline personality disorder, conduct disorder in children, and bipolar disorder. Although it is unclear as to what are the exact mechanisms that explain the benefits of omega-3 EFAs, it is known that they do play an integral role in the functioning of the brain and neurons. Docosahexaenoic acid (DHA) is the predominant omega-3 fatty acid in the brain, and eicosapentaenoic acid (EPA) is involved in reducing inflammation. Both DHA and EPA are involved in numerous neuronal functions that include proper neurotransmitter function for dopamine and serotonin, normal membrane fluidity, ion channel and enzyme regulation, and gene expression. Found in flaxseed oil and fish oils, omega-3 fatty acids can’t be made in the body but must come from our food. The omega-3 fatty acids are necessary in the manufacture of our hormones, important for our heart, and necessary for the development of our brain. They also play a role in preventing cancer. Omega-3's are helpful for heart health and brain health as well as for inflammation, circulation, memory, thought and blood sugar control. 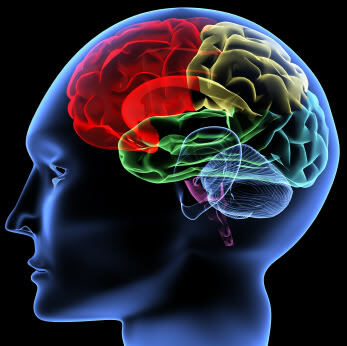 Researchers have recently discovered that consuming coconut oil and coconut milk, along with omega-3 supplements such as fish oil produces some added benefits for human brain health - particularly for young developing brains. According to coconut oil expert and author, Dr Bruce Fife, one of the biggest benefits and advantages of coconut oil for ADD and ADHD patients is it's ability to make them focus and concentrate more intensely and for longer periods. This powerful benefit helps to stop the dreaded “foggy brain” and fatigue syndrome that normally affects most sufferers. The secret is in the production of these ketones. Like a car, when the brain has a constant and clean supply of fuel, it runs smoothly and purrs along. But if it gets low on fuel or has dirty fuel - or worse, runs dry - it's going to start coughing and spluttering and eventually konk out! When you go to purchase your coconut oil and coconut milk, it's essential that you only ever buy the raw, organic, virgin varieties (and not the "reduced fat" milk either). 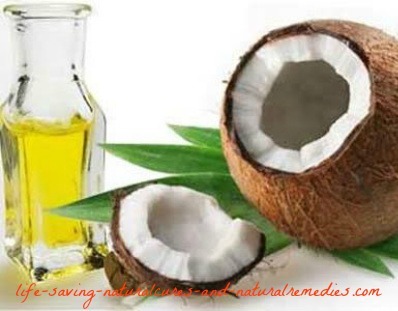 Dried coconut flakes are also okay to eat as well, but the oil is the most prized and beneficial. Use all of them in your cooking as much as possible (coconut oil doesn’t go rancid or produce trans fatty acids and free radicals when it’s heated so it’s perfectly safe to use as a cooking oil). Adolescent ADD and ADHD sufferers need at least 1-2 tablespoons of coconut oil every day and adults need 3-4 tablespoons per day so extra supplementation will be required (and it's easily consumed when it's added to smoothies, tea or coffee, etc). Only shop at your local health food store or a trusted online company such as Amazon or Ebay for your raw, organic virgin coconut oil and coconut milk.